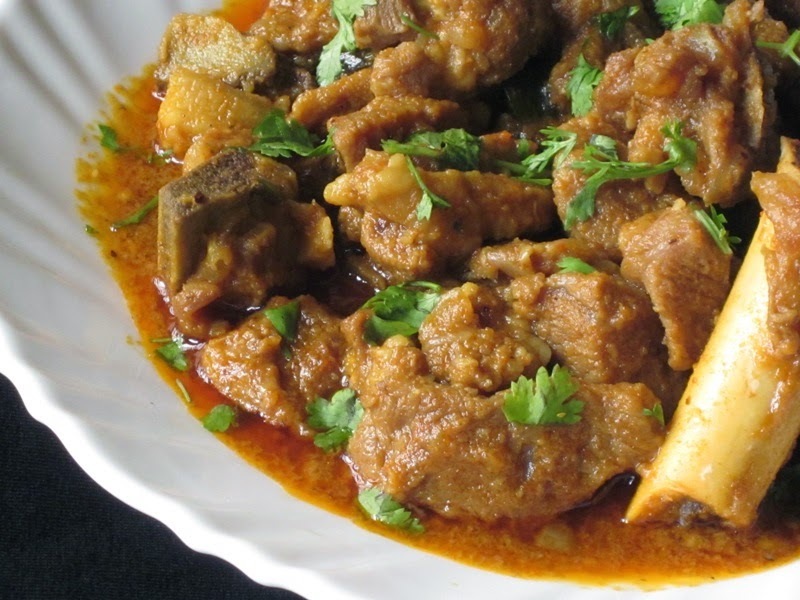 learn how cook mutton curry in a simple way especially for bachelors in Andhra Pradesh (AP), Telangana (TS)States also find the difference between mutton and beef. How to cook mutton Telangana/ Andhra Style? marination: Add curd, Mirchi powder, Ginger paste, Turmeric powder, Salt, coriander powder, wait for 30-60minutes. wait for 2-3 minutes to dry wet mutton by evaporating water, there may oil come out, then 3glass water for 1kg mutton. masala powder, coconut powder, and Coriandrum leaves, and tomatoes again cook for 1 whistle. then open add masala and coriandram leaves then eat/serve. items: Mutton, curd, oil, salt, Mirchi powder, Coriandrum leaves and powder, mutton/ grams masala already mentioned above. How to identify difference between mutton and beef? Today butcher cheated me by selling beef instead of mutton (meat of lamb or goat). Smell: you may already know the smell of mutton. Beef comes along with white color fat. skin of ox /cow. how to identify After cooking? Maybe while eating you may notice some differents of meat hardness and tasty. Note: don’t buy mutton from the Muslim butchers ( they cheated me), buying from Hindu butcher but it’s totally rare in some Areas like Hyderabad. Not All butchers do same, some of them are honest to protect their business.